Celestron 10x Mini Handheld LED Illuminated Magnifier is a multi-faceted tool that can be used in a wide variety of venues. For the hobbyist, it can examine everything from stamps and coins, to small detail on fabric and stone. For jewellery, it can be used to explore faults and assist in repairs. When it comes to home use, use it for examining cuts, and other skin ailments. And, if you're a outdoor enthusiast, in the field, it can aid in exploring plant-life, bugs, rocks and other wonders of nature. It features multi-coated glass that provides a clear, crisp image while minimizing flare. The LED illumination generates a bright field within which to examine small objects. The powerful 10x magnification can pick up small details you might otherwise miss. When not needed, it folds neatly onto its "shell" ready to be stored in your desk, gear bag or pocket. This magnifier is foldable, lightweight, reliable and compact enough that easily fits in a pocket. 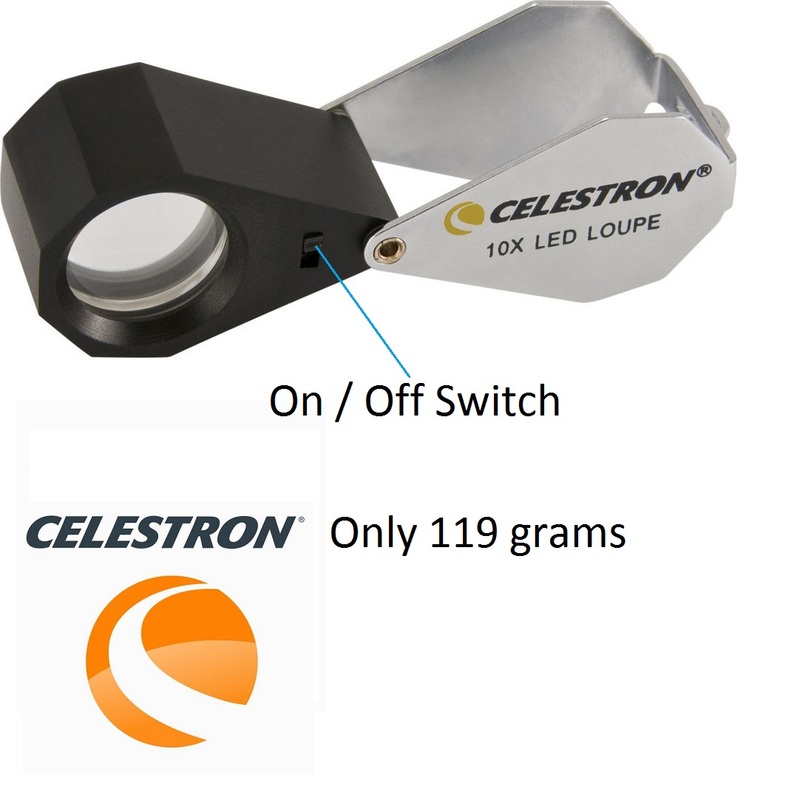 For more information about, Celestron 10x Mini Handheld LED Illuminated Magnifier website. Excellent service. Prompt delivery nicely packaged. Product all one could hope for. Fully recommended!